I have only planted garlic twice before. 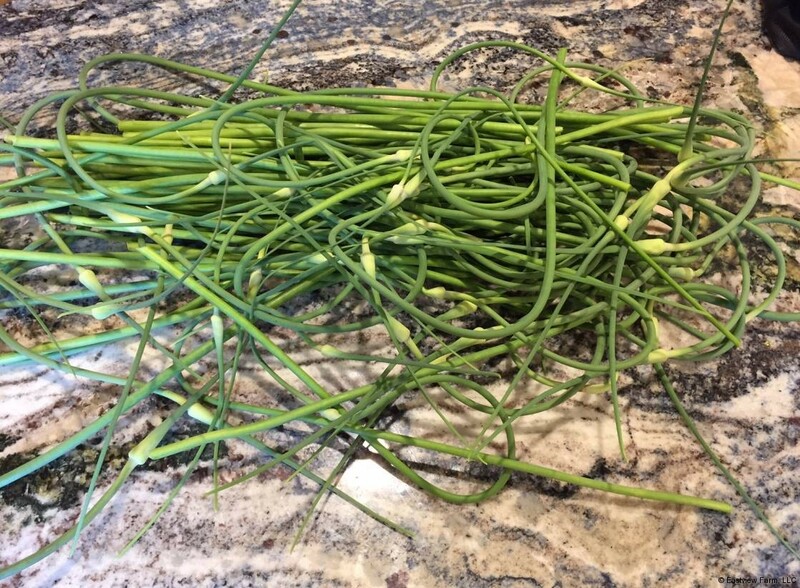 Each time the scapes were thin and tasty. YOUR garlic seed created MASSIVE scapes – never seen anything like it. And, each of the 80-90 plants have very thick stalks. I can hardly wait til harvest time.